Bedroxx meets everyone's needs. Wanna bowl? Good. They have 30 lanes. 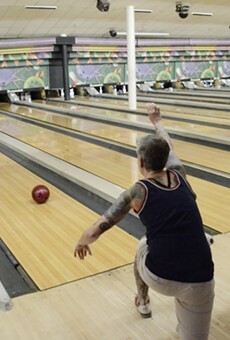 Wanna drink beer while you bowl? Good. They have a bar and some pretty good pizza, too. Wanna eat spicy chicken wings served by a waitress with big gazangas? Good. Bedroxx is next door to Hooters. 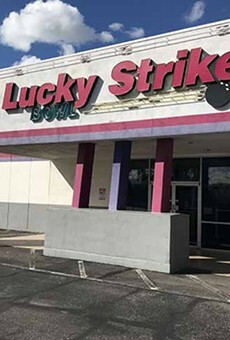 Now wait a minute: This is an establishment that offers good, family fun with $1 Tuesdays and Wednesday kids' nights with bowling and a movie. Any money you save can be spent in the two rooms full of redemption-ticket arcade games where you can win fuzzy pencils, plastic bracelets or gum that gets stuck in the kids' hair on the tired drive home.